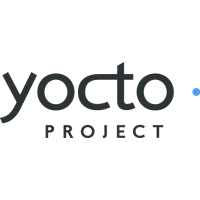 Yocto project is a framework for creating a Linux distributions for embedded devices. It's layering mechanism makes it easy to add Linux to new target devices highly customized for a particular platform; it can include custom start-up scripts, software packages built with a high degree of optimization for a particular architecture, and different user interfaces from full Gnome desktop to a simple a serial console. This release is based on NXP BSP layer for Yocto framework. Variscite extends this layer to support its DART-MX8M-MINI SoM. This page was last modified on 28 February 2019, at 10:33.